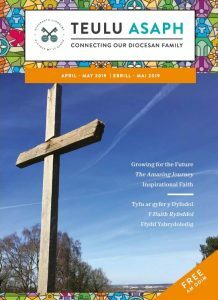 Teulu Asaph is the diocesan magazine, available every two months and distributed FREE to every church in the diocese. new accommodation for people who are homeless in Flintshire. Please pick up your copy from your local church or click on the image of the cover to read it electronically. You can view a PDF version here. The deadline for copy and images for the next edition is 26 April 2019. Images should be sent in a digital format by e-mail and pictures should be sent without a reduction in size or the number of pixels as otherwise they will be too small.